Check out Our New PAsDoThat.net Website! Earlier this month, NCCPA’s Board chair addressed the AAPA House of Delegates with remarks about why NCCPA is considering changes to the recertification exam model, how that effort has been informed, who has been involved and what that published model entails. AAPA leaders have expressed their opposition to these potential changes since the day NCCPA issued the first announcement that we would be seeking comments and feedback on these new ideas. The House of Delegates made that opposition official on May 16, and the NCCPA Board will consider AAPA’s position as our discussions continue. In the meantime, we continue our efforts to gather input from a broader range of stakeholders, partnering with the Citizen Advocacy Center to gather perspectives from the public, employers, state medical boards, and others. Our aim is to understand how those groups view the recertification process today, what elements of the recertification process they think it important to maintain or to change, and how this proposed model, if enacted, might change their perceptions about and what they require of certified PAs. Before any decision to enact change, we want to do our best to understand all potential ramifications of that change. This work and the Board discussions to follow likely will continue throughout the rest of this year. We will continue to keep you apprised of new developments. On May 9, NCCPA released the results of the profession-wide survey through which more than 90,000 certified PAs were asked to weigh in on the potential changes to PANRE under consideration. 62% of PAs prefer the proposed model over the current one, with 11% expressing no preference. The survey identified 19 specialty areas in which an exam may be offered in this new model. 58% of PAs who did not have an exam option listed in their specialty area favored the proposed model. 29% of those PAs preferred the current PANRE, and 13% had no preference. Overall, nearly 70% believe that the proposed model would be less stressful than the current PANRE. 65% feel that the take-at-home core knowledge exam would better promote staying current with general medical knowledge than the existing PANRE. Additional details about the survey have since been published in a second document online. NCCPA maintains a robust repository of data on certified PAs and practice characteristics, and we safeguard that data with policies – based on those of other similar certifying organizations – that protect against misapplication or misuse of that data and against exposure of identifying information. In hopes of expanding the range of data requests that can be granted for projects that advance the health and safety of the public or are otherwise useful research relating to PAs, the NCCPA Board approved a revision to the organization’s Policies for the Review of Requests for Data and External Research Collaboration to allow exceptions to the requirement of NCCPA authorship on all published works using NCCPA data. The revised policy and related information is available at https://www.nccpa.net/Research. We were excited to meet and talk with more than 1,500 PAs at AAPA’s annual conference this month in San Antonio. There we announced the launch of a new website – www.PAsDoThat.net. Using flipbooks, videos, PA profiles and more, this interactive site promotes the wide range of ways certified PAs are improving health and providing high quality care. Use the hashtag #PAsDoThat, and post pictures of yourself on the job, doing community service - whatever you do as a PA. You’ll become part of our social media campaign. Bonus: your tweets will also stream into the social media feed on the www.PAsDoThat.net website. Go to the “Meet” page and create your profile. Don’t be shy! Remember, this is about helping patients, employers and others understand the many ways in which certified PAs are impacting health care. Share a story idea with us at pr@nccpa.net! What are you or your colleagues doing to impact care that you think would make a good article? We are always working on new ways to tell the certified PA story and welcome your input and participation. You can see a list of articles we’ve published on the “Read” page. Help us keep building that bibliography! Ask a colleague or a patient to go to the “Listen” page on the site and record a message about the great work you do – just a short message about how you are making a difference. We are excited and passionate about what you do and want to get the message out there! Help us do that with www.PAsDoThat.net and #PAsDoThat. 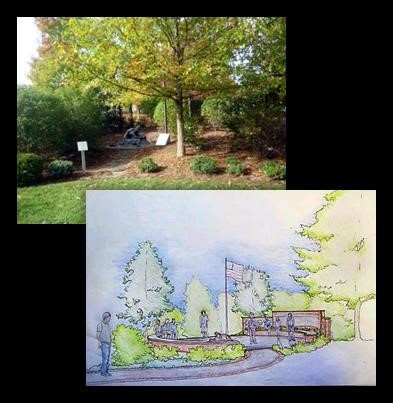 The PAHx is raising funds for improvements to the John McElligott Veterans Memorial Garden, a site that honors the contributions of former military corpsmen as pioneers of the PA profession.The Stead Center and gardens are regularly visited by PAs, veterans and PA students.Funds raised will update the overgrown landscaping and add a sitting area near the garden’s statue, spotlights for the flag pole, and a fence to enclose the garden area. The Society needs to raise $30,000 more to complete this project.This Memorial Day, please consider making a donation in honor of the veterans who are honored by this garden. 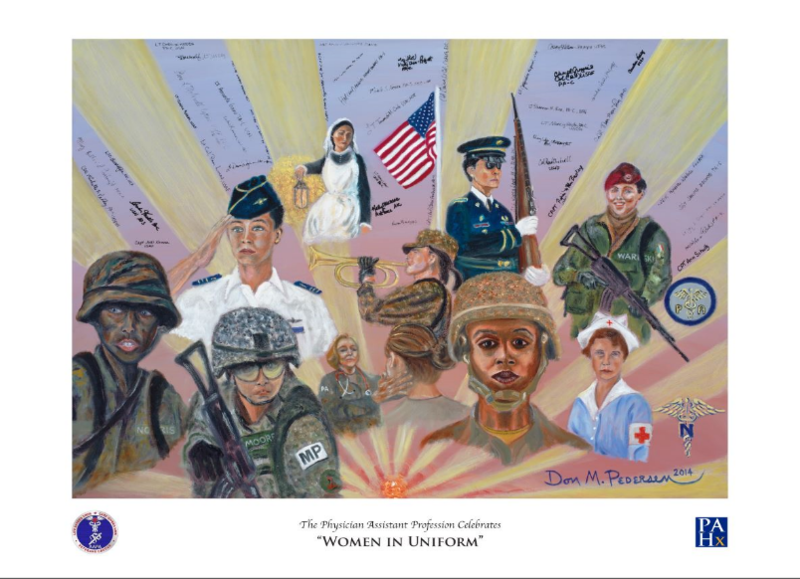 For its part, the History Society will thank those who donate $75 or more with a signed, numbered print of “Women in Uniform” by artist Don Pedersen, PhD, PA while supplies last. Tax deductible donations can be mailed to: PA History Society, 12000 Findley Road, Suite 160, Johns Creek, Georgia 30097. Please mark “Garden” on the memo line of your check.Credit card payments are accepted via the PAHx website at: http://www.pahx.org/donate-pa-history-society. Please mark “Garden” next to your name. For more information about this project, please visit our website, or write to us at contactus@pahx.org. At the AAPA Conference, the nccPA Health Foundation announced a new grant to support PA efforts to end health disparities. The Kathy J. Pedersen Grant to Promote Equitable Care provides PAs up to $5,000 for projects that promote social accountability, or efforts to address priority health concerns for the community, region, or nation where the provider serves. “Kathy has dedicated her PA career to promoting equitable health care for all,” said Don Pedersen, PhD, PA, nccPA Health Foundation Board member. “By endowing this grant, I hope to sustain her legacy and inspire new generations of PAs to follow in her footsteps. ”The grant supports innovative, actionable strategies that directly and sustainably impact public health needs. Interested applicants are challenged to design programs that bridge known system gaps, advocate for the underserved, or creatively develop resources for those in need. “The nccPA Health Foundation is passionate about equipping certified PAs to foster equitable, accessible care; and we are pleased to offer PAs this opportunity to address the most pressing health concerns in their communities,” said Dawn Morton-Rias, Ed.D, PA-C, NCCPA and Foundation President and CEO. Certified PAs, PA organizations, and PA students may apply. To be considered during this grant’s inaugural funding cycle, submit the completed application by July 1, 2016. The Kathy J. Pedersen Grant to Promote Equitable Care was made possible through a generous donation from Don and Kathy Pedersen. The Kathy Pedersen Grant significantly expands the Foundation’s capacity to equip PAs to improve health, and funding decisions for the 2016 cycle will be announced by the end of August. Applications for the nccPA Health Foundation’s Be the CHANGE grant, which provides up to $1,000 for PA projects that create health access now for greater equity, will continue to be accepted year-round. The nccPA Health Foundation expresses its gratitude to the Pedersens for their tireless work and endowment of this new grant opportunity. Learn more about this grant online and about the careers of Kathy and Don Pedersen from the PA History Society. Board members serve three-year terms (2017-2019) with the possibility of reelection for a second three-year term. In addition, the Board is pleased to extend – for the first time – its call for candidates to PA students. Interested students will participate in the same process and be expected to meet the same criteria as other candidates. An elected student would be expected to continue to serve through his/her transition to practice. Learn more about serving on the Foundation Board in our Information for Prospective Candidates or Information for Prospective PA Student Candidates and submit requested materials by Friday, July 22, 2016. Questions? Email Tiffany Flick at tiffanyf@nccpa.net. Physician Practice Podcast: This audio recording by Dawn-Morton Rias explains that PAs expand access and fill the gaps in underserved areas. An article in EyeWorld quoting Martha Guilbault, PA-C, and Dawn Morton-Rias, Ed.D, PA-C, about the small but growing number of PAs in ophthalmology. Read PAs: An Antidote for Growing Number of Patients, pages 23-24. In Physicians Practice blog this month, Sam Wijesinghe, PA-C, talks about how Certified PAs Make a Difference in the Fight Against HIV. Want to get involved? 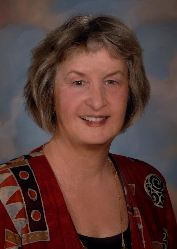 If you have a great article idea or a story to share, contact PR manager, Mary Rittle, at maryr@nccpa.net. Get the free NCCPA app! Feedback and questions are always welcome. Send general inquiries and comments to nccpa@nccpa.net and messages about the new recertification exam model to newpanre@nccpa.net. Or contact our President/CEO. The National Commission on Certification of Physician Assistants is dedicated to serving the interest of the public. We do so with a passionate belief that certified physician assistants are essential members of the health care delivery team who provide millions access to more affordable, high quality health care. To ensure you always receive these emails please add nccpa@nccpa.net to your address book. © NCCPA, All Rights Reserved.